We apologize for this site’s relative inactivity over the last few months; other responsibilities have claimed our time. But come 2007, the site will be retooled somewhat to acknowledge the all-encompassing international juggernaut that brand Snob has become. 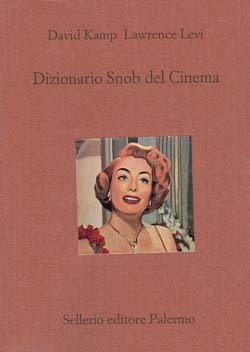 The Dizionario has already received a rave in La Republica delle Donne, if any of you know how to read Italian. 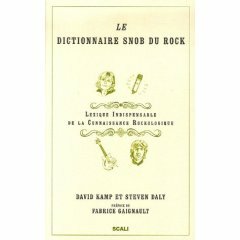 Up next in America: The Food Snob’s Dictionary, by David Kamp and Marion Rosenfeld, coming from Broadway Books in autumn 2007. Happy New Year, and, to quote Rock Snobbishly from an early Mercury Rev album title, see you on the other side. The video for “Window in the Skies,” one of the two new, Rick Rubin-produced songs on U2’s recent singles compilation, U218 Singles, is mesmerizing, repeat-watchable, and very Rock Snobbish. (Click on the screen-grab below to watch.) Compiled by director Gary Koepke, it uses dozens of archival clips of performances by famous musicians, editing them together so that–for a second or two, anyway–it looks like each musician is lip-synching to Bono’s vocal. It’s a fun video, with appearances by, among others, Frank Zappa, the young Keith Richards, Bjork, Keith Moon, Nat King Cole, Nina Simone, Frank Sinatra, Jack White, Morrissey, Iggy Pop, the Ramones, Beck, Elvis, Ella Fitzgerald, and Louis Armstrong. But equally interesting is who is not present. No Beatles? U2 probably wanted them in there but couldn’t get clearance from the ever-proprietary Neil Aspinall at Apple. And one can’t help but notice how very... exquisite the director and band have been in their choices. If only there could have been one or two nerdy, unfashionable figures to keep the video from being so tasteful–say, Glenn Tilbrook from Squeeze, or Boz Scaggs or somebody.